Capture all the parts you need! One of the best drum rooms in LA! Let's Get Started Recording Your Next Single, EP or Album! "We had so much fun and felt right at home working with Charlie. 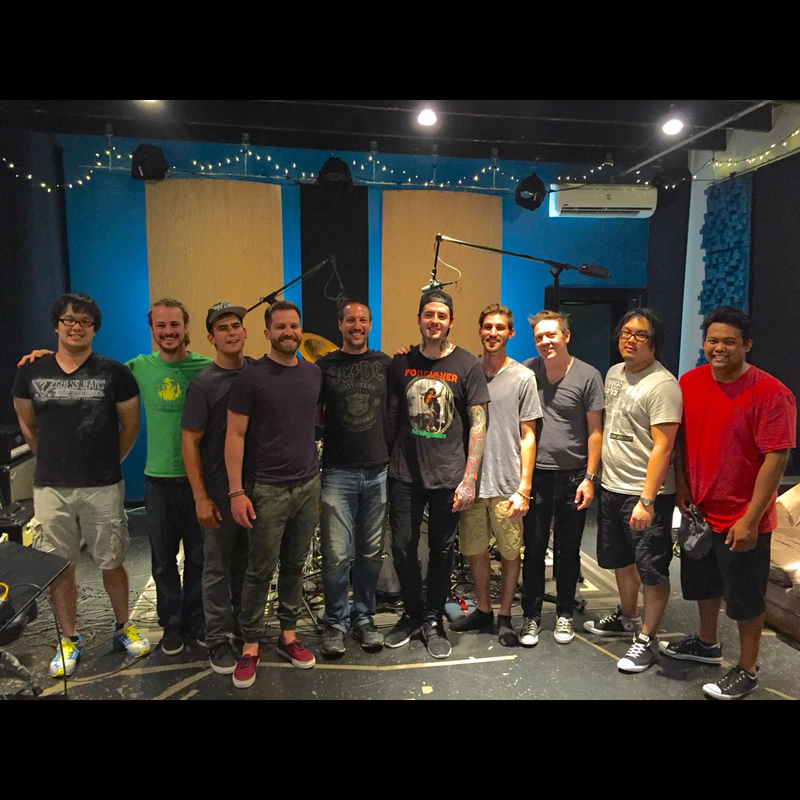 "I convinced my band The Quarantined to record our EP at Ultimate Studios. The experience was amazing, and speaking for the whole band - the result is phenomenal." "Charlie knew the best way ways to handle every crazy instrument that I brought in. He makes all of the musicians feel comfortable with the atmosphere that he has created." Owner and head engineer Charlie Waymire built Ultimate Studios, Inc for one reason: To work with amazing musicians, making amazing music. 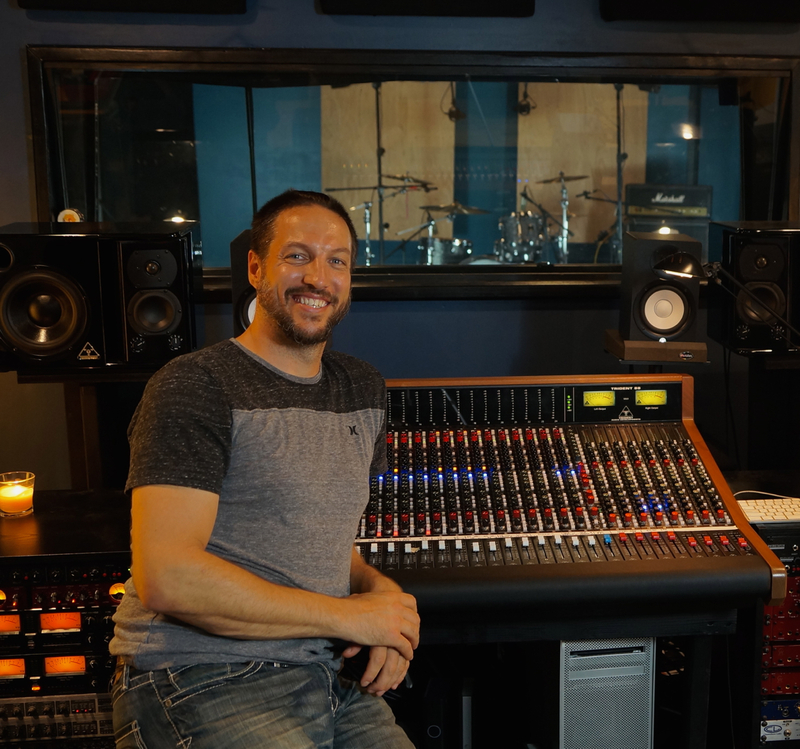 “I look at myself as a conduit for the artist and I use Ultimate Studios, Inc as my instrument to help them capture their music exactly how they hear it.” says engineer Charlie Waymire. 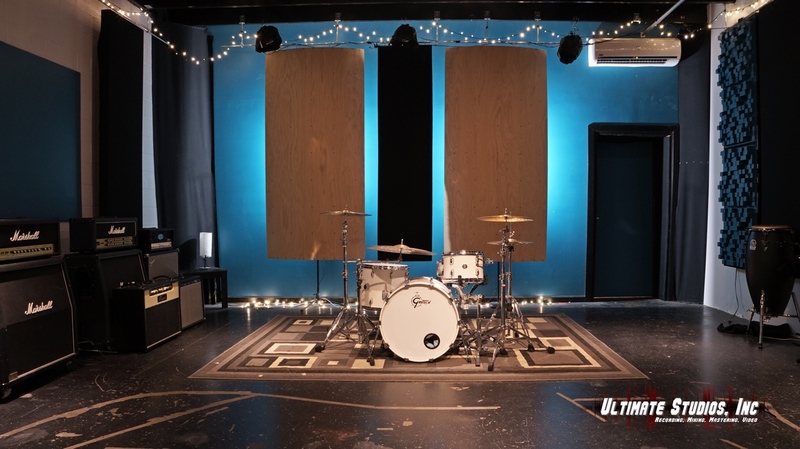 Ultimate Studios, Inc is a boutique production facility for artists and bands to collaborate, create, and record. Ultimate Studios, Inc's team can assist artists through the entire creative process including recording, mixing, mastering, and video production. Our ultimate goal is to help bands and artists build a strong brand for a lasting career. The control room is centered around the all new Trident 88 Analog Console. This is a fantastic sounding console born from the classic Tridents that have recorded artists such as David Bowie, Queen, Elton John, Black Sabbath, Jeff Beck, and many more. The control room is filled with other analog outboard gear from Rupert Neve, Tonelux, Overstayer, Daking, Warm Audio, Smart Research, DBX, and more. It's also spacious and comfortable. Tracking full bands, live, is not a problem in the 1600 sq ft facility including a spacious, and fantastic sounding, 600 square foot live room. All the treatments in the room are on a rail system which makes the room tunable to fit the artists needs. See photos and gear list here. For guitar and vocal isolation there is a cozy ISO booth between the control room and live room. We can record your next Single, EP, or Album and take you all the way through the mixing and mastering stages. We're here to help assist you in any way possible to achieve your artistic goals. Let's record!! From simple overdubs to drums, to full band, live, tracking Ultimate Studios, Inc will help make your musical dreams a reality! 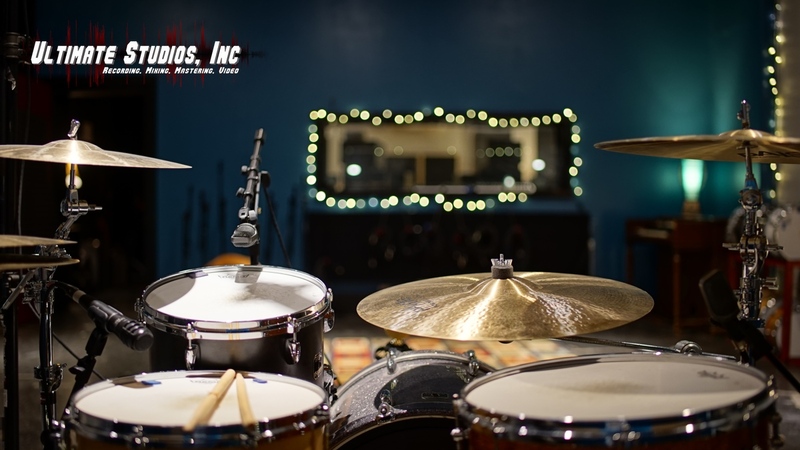 Drums, Cymbals, & Amps are available for your use at every session. In this day and age it's common to collaborate with musicians all over the globe. We do that ALL the time! 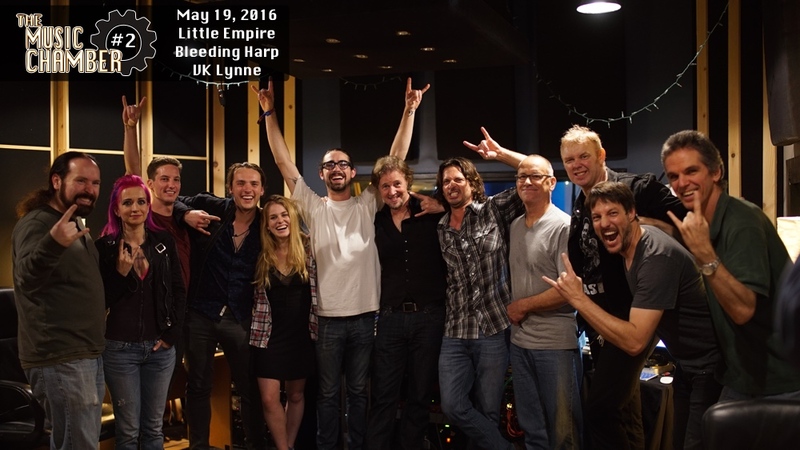 Artists & Producers from Germany, France, Italy and Australia have had drums, guitars, bass and vocals tracked here at Ultimate Rhythm Studios by some of LA's finest musicians. Getting great drum sounds is more than just "getting a great drum sound". It's about getting a sound that is right for the song. Context is EVERYTHING! Our specialty at Ultimate Studios, Inc is getting each and every artist the perfect sounding drums for their songs. Drums are a complex instrument to record well and capturing great sounding drum tracks is a combination of recording techniques and performance. Besides being an accomplished drummer himself, engineer Charlie Waymire is extremely adept at working with drummers to get the best possible performance. This is one of the many reasons that Ultimate Studios, Inc has become a home for drummers to record their drum tracks. 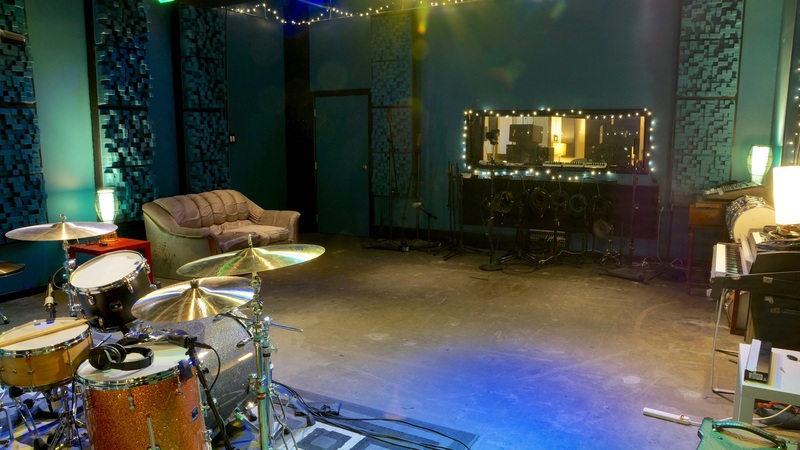 A live room made for drums! Charlie took on the daunting task of building his own drum friendly recording studio where he could create the drum sounds he had always envisioned. 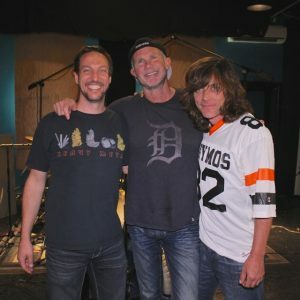 With a fantastic sounding live room, and a Trident 88 console at the helm, Ultimate Studios, Inc has quickly become the “go to” hub for drummers of all styles including Chad Smith (Red Hot Chili Peppers), Ray Luzier (Korn), Josh Freese (Perfect Circle), Benny Rogers II (Mariah Carey), J.R. Robinson (Michael Jackson), Glen Sobel (Alice Cooper), Mike Avenaim (Scott Weiland), Jeff Bowders (Paul Gilbert), Greg Garman (Selena Gomez), Nick Adams (David Cook), and many others. The live room is a spacious 600sq ft and can be completely customized to each and every project, making the room extremely versatile. 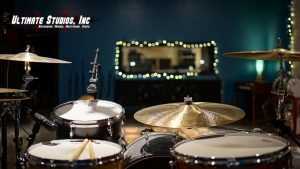 Besides having a room made for recording drums, Ultimate Studios, Inc. has a collection of great sounding drums from Pearl, Gretsch, Yamaha, and Ludwig as well has bags full of fantastic sounding Paiste cymbals. All of our gear is available for you to use at NO extra charge! Of course you are always welcome to bring in your own gear. See Full Gear List. 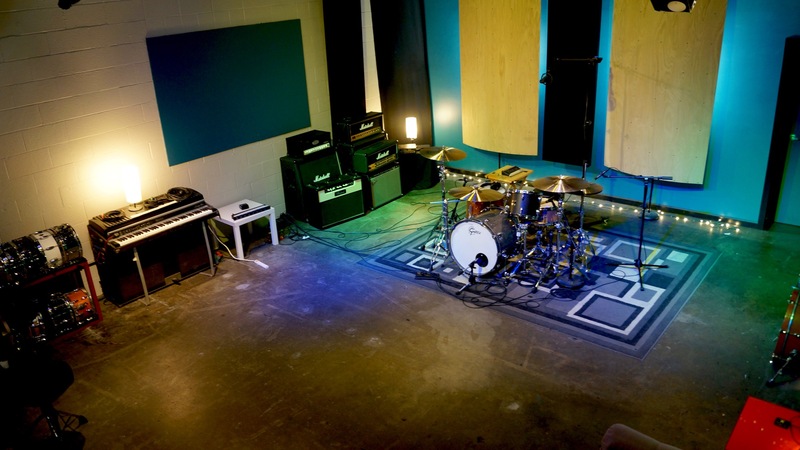 Make Ultimate Studios, Inc your home for recording drums! Contact Us to book a session or come by for a studio tour. Often times, artists have a hard time evolving the musical ideas in their head into real fine tuned tracks. With an extremely deep list of top notch L.A session players, including Charlie's writing and production partner, Ernesto Homeyer (guitar extraordinaire), we are available to help you reach your musical goals. The Ultimate Studios, Inc crew can assist you in writing, arranging, and recording your music. Contact Us for more information & rates. Let's Get Started On Your Next Song or Project! *Prices include your engineer Charlie Waymire plus the use of any of the studios instruments if needed. *A 50%, non-refundable, deposit is required to hold your booking. *5 day notice must be given to reschedule any session. If any session is cancelled within 48 hours of the scheduled time, the full amount of booked time (including any musician fees) will be due immediately. **Please show up to your session on time. If your session has been booked to start at 12pm, that’s when the clock starts ticking. Even if you show up at 2pm. I have been scouring the web for samples and user feedback on the new Trident 88. I read Barry Rudolfs early review of the desk. I am still curious to learn and hear more for users. I am guessing you have now had the console for almost a year and curious if you have had any troubles.